What's a trip down the shore without seafood? Forget about the giant seafood restaurants that are only concerned about table turnover and have standard menus. 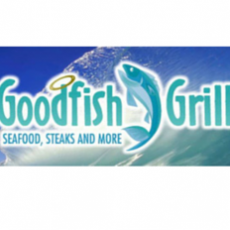 At the Goodfish Grill, located at 3805 Pacific Avenue in Wildwood, you'll be seated in a cozy environment and served the freshest seafood available with a palate pleasing twist. The word 'ordinary' is not in the Goodfish Grill's vocabulary, from the charms of the building, to the different flavoring combinations of the food, to their extensive rum and wine collections - this restaurant is about more than just food; it's about an experience.